Enter your email below to get my Igbo language accountability emails! "Your accountability is much appreciated. I am now more consistent with practicing my Igbo. Daalụ." Ready to get consistent with your Igbo studies? 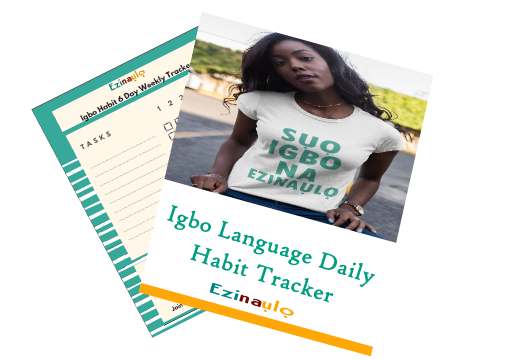 Enter your details below to download the free Igbo habit tracker sheet and receive language accountability check-ins every month from me. If you want to learn Igbo, my accountability emails will be the reminder you need to stay consistent with your self study plans!